The FTC has approved a $29 billion acquisition by Express Scripts Deal for Medco Health Solutions. Updated to reflect Express Scripts, Medco lawyer comments and additional data throughout. NEW YORK ( TheStreet) -- A rapidly changing competitive landscape in the industry to fill prescription drug benefits paved the way for Monday's approval of Express Scripts ( ESRX $29 billion acquisition of Medco Health Solutions ( MHS by the Federal Trade Commission, in what was a hotly contested antitrust review. 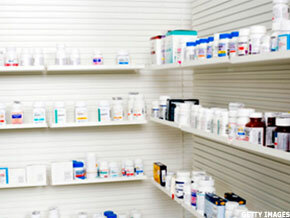 In approving the merger by a 3-1 vote, the FTC said that while the tie-up will create an industry powerhouse the the deal was unlikely to raise the cost of prescription drug plans for individuals, companies and government agencies. While investors had anticipated a deal approval, Express Scripts shares continued a 2012 surge on high expectations for potential cost savings as a result of the deal. "The FTC is not stuck in cement in terms of historical market positions or market shares," says Mike Cowie, a partner at law firm Dechert, which advised Medco Health Solutions on the antitrust review to the deal. Cowie notes that the pharmacy benefits manager industry was facing new competitive threats from UnitedHealth Group ( UNH - Get Report) and Catalyst Health Solutions ( CHSI. "When you have an industry undergoing rapid change like this, it shows that it is highly competitive." In particular analysts targeted the emergence of UnitedHealth as a competitor, after it previously was one of Medco's key customers with a $11 billion contract that represented nearly 20% of the company's sales. Prior to Medco's merger agreement with Express Scripts, UnitedHealth said in June that it would not renew a contract covering 20 million of its pharmacy benefits customers that expires in 2012. The deal will combine two of the three leading pharmacy benefits managers, creating the industry's largest player with nearly $100 billion in revenue and a 40% market share. In its approval the FTC noted the impact of healthcare reform, the entrance of health plans into the PBM market and the success of smaller competitors as reasons that the top three industry players, who control a large majority of the PBM market, don't have pricing or competitive market control. " A number of health insurers have made substantial investments and renewed their efforts to expand their PBM offerings, spurred by the passage of healthcare reform and the creation and implementation of Medicare Part D," noted the FTC. Those plans include UnitedHealth, Humana ( HUM, Aetna ( AET and Cigna ( CIG, according to the FTC's review. The FTC also highlighted smaller players like CatalystRx and SXC Health Solutions ( SXCI as smaller competitors with "recent success winning significant employer business, including large employer accounts." After Monday's deal approval by the FTC, analysts expressed increasing optimism about the possible cost savings and earnings growth that Medco will add to Express Scripts. "This is another transformative acquisition that roughly doubles the size of the company & offers clear synergies as we move through the peak of the generic wave," added Glen Santangelo, who re-instated coverage on Express Scripts with an "outperform" rating and a $68 a share price target. While Express Scripts management has said that the deal will lead to $1 billion in annual cost savings, expectations are that the St. Louis- based company may see far greater synergies, providing an added earnings per share benefit. "Management's guidance of about $1 billion in cost savings seems conservative to us," wrote Robert Willoughby of bank of America Merrill Lynch, who rates shares a "buy" with a $67 price target. He expects additional savings to help share buybacks or the paydown of the company's debt. Prior to Monday's FTC ruling, Medco's stock was just below the $71.36 a share purchase price agreed in July, signaling investor increasing investor confidence over the deal approval. On news of the approval, Express Scripts shares rose nearly 3% to $55.68. The company's shares have gained nearly 25% year-to-date on increasing optimism about a closure to the Medco merger. After the merger was first announced in July, antitrust inquiries led by Congressional leaders and a second review by the FTC caused Medco's shares to drop below $50, over 30% below the offer price on concerns of an antitrust blockage. The antitrust revied led to Senate and Congress headings, in addition to the FTC's 8-month antitrust review. As the review looked to move in Express Scripts favor, some legislators stepped up their opposition to the deal. In February, Sen. Herb Kohl (D., Wisc. ), chairman of the Senate Antitrust Subcommittee, sent a 6-page letter to the FTC outlining potential pitfalls to the merger, including possible cost increases for corporate, union and government health insurance plans to go with competition concerns. Nevertheless, March regulatory filings by Medco and Express Scripts indicated that both companies expected deal approval as early as April 2. The filing also noted the potential for divestitures, "subject to satisfaction or waiver of the remaining closing conditions." Those expectations, and a confidence that the deal would close in the first half of 2012 proved to be accurate. "Our merger is exactly what the country needs now," George Paz, chief executive of Express Scripts, said in a statement. "It represents the next chapter of our mission to lower costs, drive out waste in health care and improve patient health." In a statement the FTC officials voting in favor of the merger said that the review, "revealed a competitive market for PBM services characterized by numerous, vigorous competitors who are expanding and winning business from traditional market leaders... The market today is not conducive to coordinated interaction, and there is little risk of the merged company exercising monopsony power." The dissenting vote from although Commissioner Julie Brill, who described the merger as an industry "game changer" that creates a "merger to duopoly" between the merged companies and CVS Caremark ( CVS, "with few efficiencies and high entry barriers - something no court has ever approved." Though antitrust risks remain, investor and analyst expectations signal that Monday's approval was key. The merger is still subject to antitrust lawsuits filed by the The National Association of Chain Drug Stores and the National Community Pharmacists Association in late March and potential litigation by state attorney generals. However, share prices and analyst comments signal that those inquiries are unlikely to halt the deal after the FTC's approval. "In relation to the retail drug association lawsuit filed late last week, our consultants believe it is unlikely that a judge would provide a restraining order on the merger close for private sector," wrote UBS analyst Steven Valiquette in a Monday note reiterating a "buy" rating and $68 price target on Express Scripts shares. Overall, analysts polled by Bloomberg give Express Scripts shares a price target of $60.93 on 21 "buy" ratings and two "holds." For more on the Express Scripts and Medco merger see why PBM's could be sandbaggin deal synergies. See why Rite Aid earnings overtake deal rumors for more on M&A in the sector.